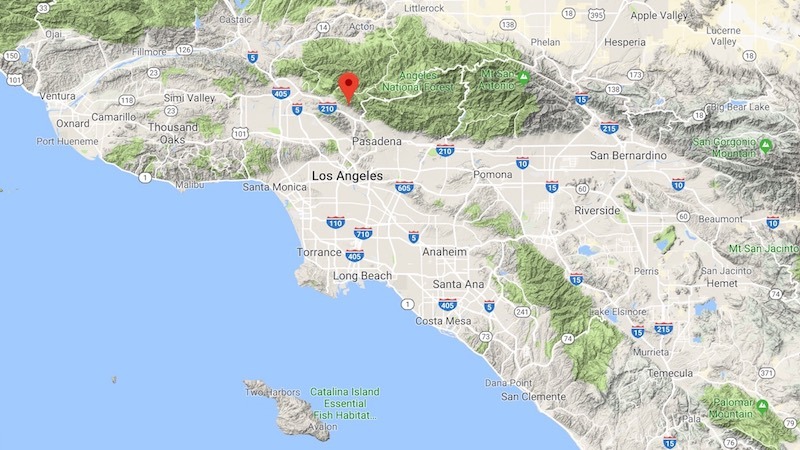 Note: In light of the sad and still unfolding story of lethal mud and debris flows at the base of recent burn areas across Southern California, I am re-posting the following, with minor revisions, from a personal blog originally written two and a half years ago. That Pine Cone Road and the Genofile house are known by me, or to any extent beyond its local Pinecrest neighborhood, is due to the frightening events that took place one stormy February night in 1978, and to the fact that one of the country’s most prominent essayists so prominently featured these events in one of his most prominent books. Since its initial publication in 1988, John McPhee’s account of what happened on Pine Cone Road has become a staple of presentations on the hazards of debris flows (aka “mudslides”), on the challenges of living in naturally hazardous environments more generally, and on the complexities we face in managing our people-environment relationships. In other words, it is exactly the sort of story that we geographers love to tell. – Excerpt from John McPhee, The Control of Nature, as presented by the U.S. Geological Survey’s online student guide, “Land and People: Finding a Balance.” Like the book’s other two chapters, “Los Angeles Against the Mountains” was originally published in the New Yorker in September and October 1988. 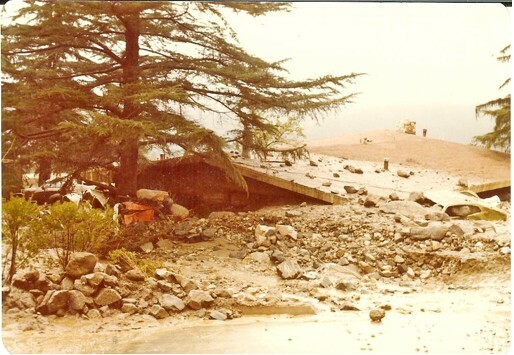 Several contemporary news stories covering the 1978 debris flows were collected and reprinted in the October 2009 newsletter of the Historical Society of the Crescenta Valley. 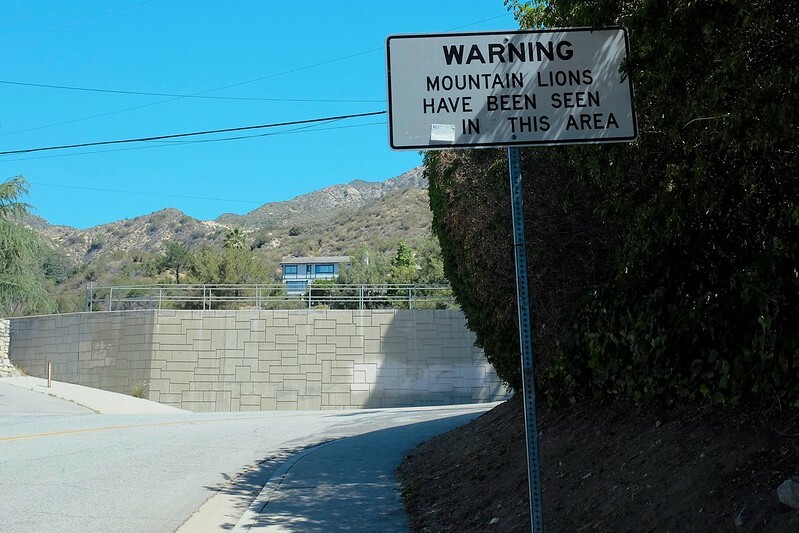 Fortunately, the Genofile family survived that terrifying night, and they were able to share their story with McPhee a decade later, as well as with a local Crescenta Valley audience more recently. 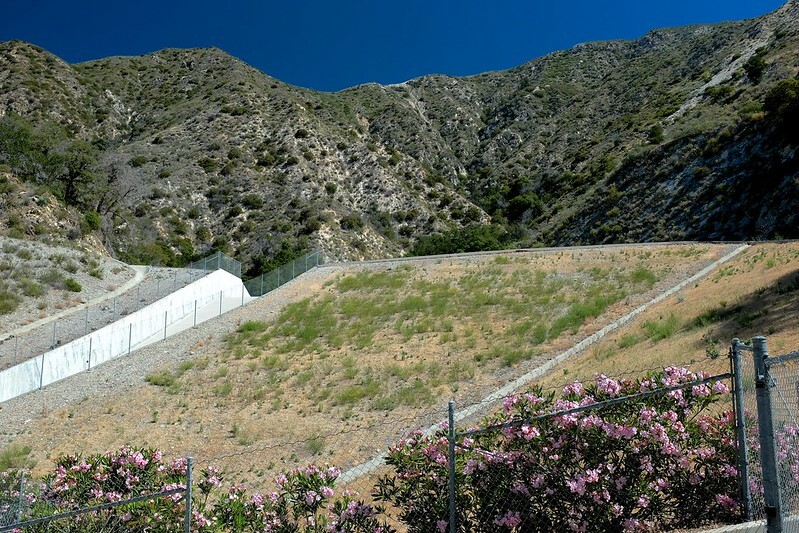 It is a story that never loses its very tangible local relevance, for the threat of violent debris flows at the foot of Southern California’s mountains is perennial. Residents of foothills communities are especially on edge at the beginning of any winter rainy season following wildfire on the chaparral-covered slopes above. 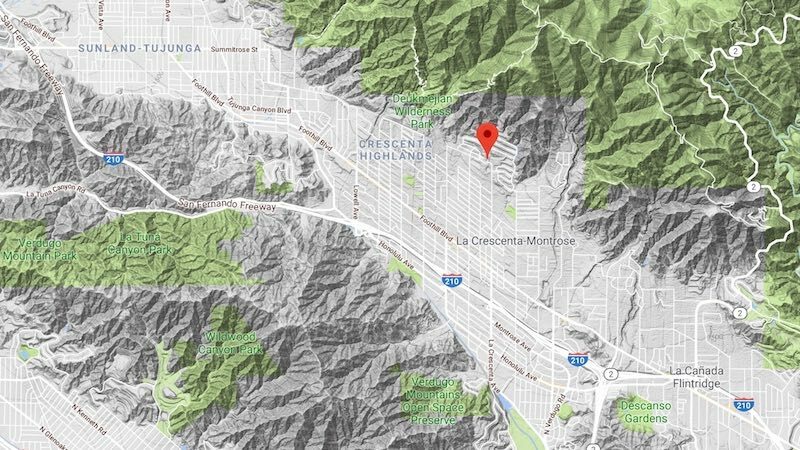 Such was the case for Pinecrest in the Fall of 2009, after that summer’s Station Fire burned more than 160,000 acres—then the largest in L.A. County’s recorded history—and left Jackie Genofile and her neighbors anxiously awaiting what winter storms might bring. “Everyone was pretty panicky,” she told the L.A. Times. above: The rebuilt Genofile house, now with a second story to (hopefully) stay above any future mud and debris, and in the meantime, to provide enhanced city and mountain views. 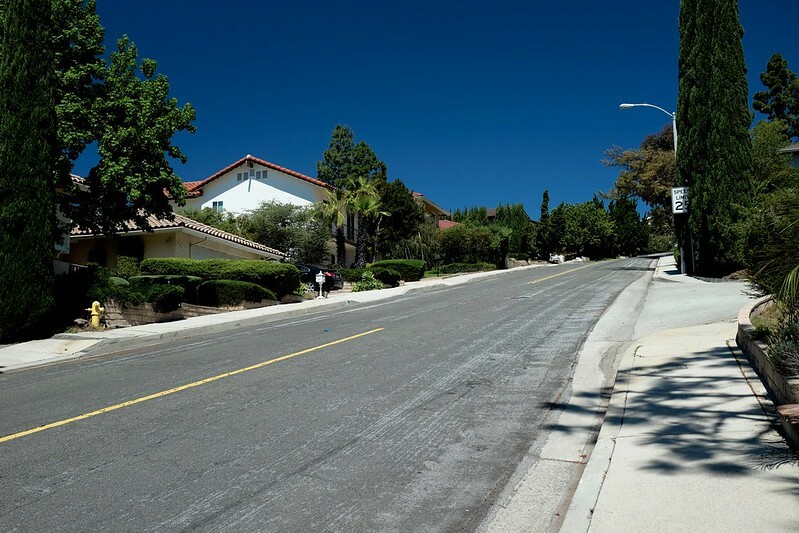 The second thing that immediately caught my attention during my visit is that the slopes of the Pinecrest neighborhood are steep! I used to be a competitive cyclist, and I still harbor middle-aged delusions of conquering the great climbs of the Alps and Pyrenees, but McPhee was spot on when he used another sport for his choice of metaphor. Pine Cone Road is just a few feet of snow away from being a candidate for the Downhill ski course at the Winter Olympics. This was apparent even while I was still in the car, repeatedly and nervously checking my brakes. 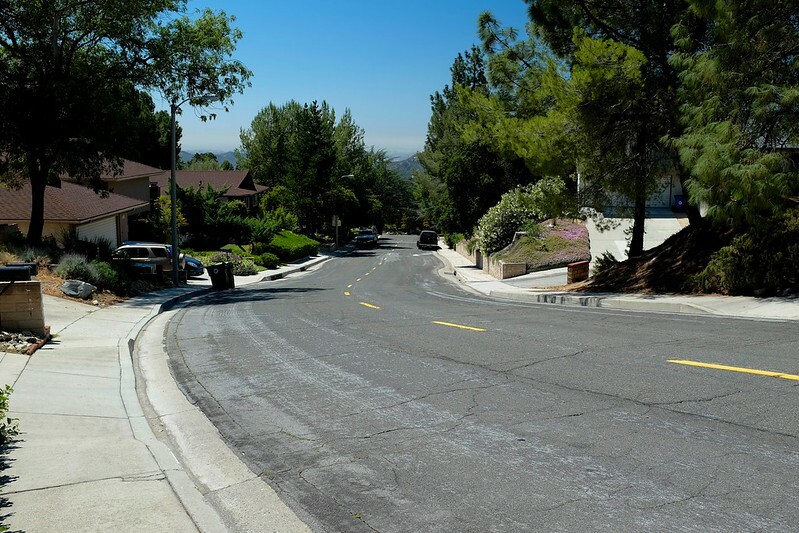 Getting out of the car and walking only confirmed that these otherwise tame suburban streets could indeed serve as good training ground for climbing the slopes of Mount Whitney. above: Looking down upper Pine Cone Road, with Shields Creek behind the fence in the channel to the right, before crossing under the street near the utility pole. Behind a moderate layer of haze in the background stand the skyscrapers of downtown Los Angeles. above: The reverse view of the previous photo, looking back up at Upper Shields, with Shields Creek now on the left. above: Looking down lower Pine Cone Road, around the last sweeping bend before reaching the Genofile house at the bottom. 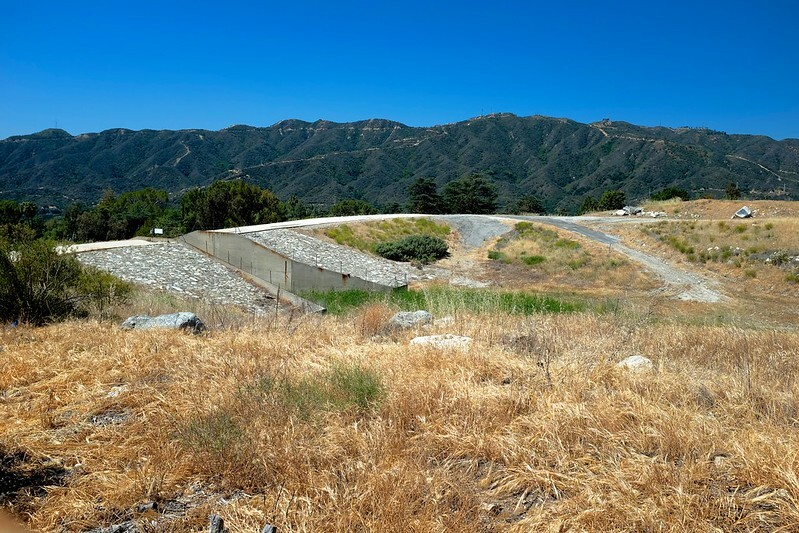 For the reverse view looking back up the hill from the Genofile house, alongside the same debris-filled view in 1978, see this post on the website of the Crescenta Valley Weekly. above: Not far above the bend from which the previous photo was taken, Pine Cone Road gets really steep. 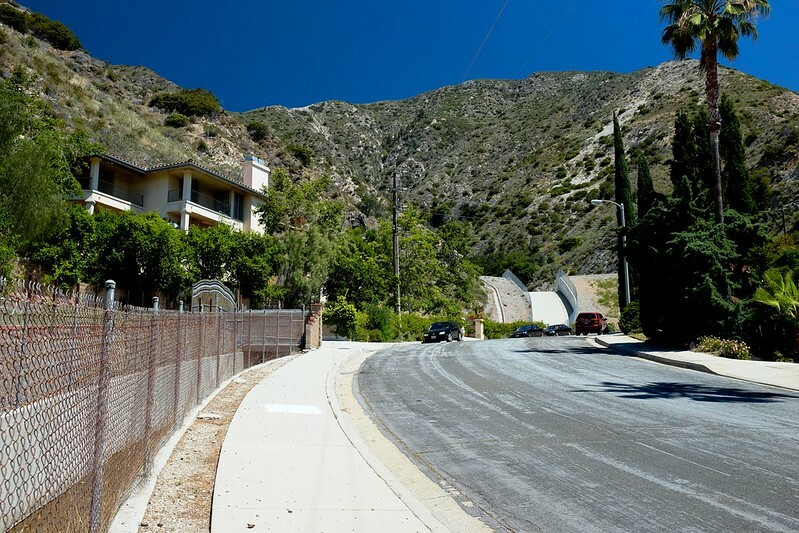 While McPhee listed the steepness of these San Gabriel slopes as one of several factors contributing to the severity of their natural hazard, he failed to note that this severe topography is not entirely natural. Or to state it a bit more precisely, the twentieth-century city was not at all humble in extending its sprawling reach well up onto those mountain slopes, into a setting that might be deemed, well, unnatural for urban living. The photo above comes from the collections of the Glendale Public Library. 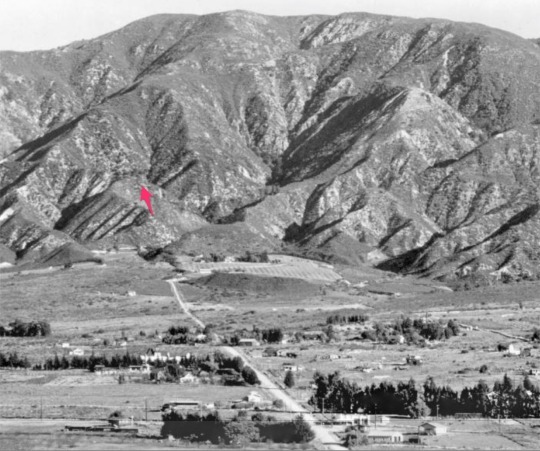 It is a view of the Crescenta Valley, circa 1916, looking northward toward the San Gabriels’ Mt. Lukens from a vantage point across the valley in the adjacent Verdugo Mountains. 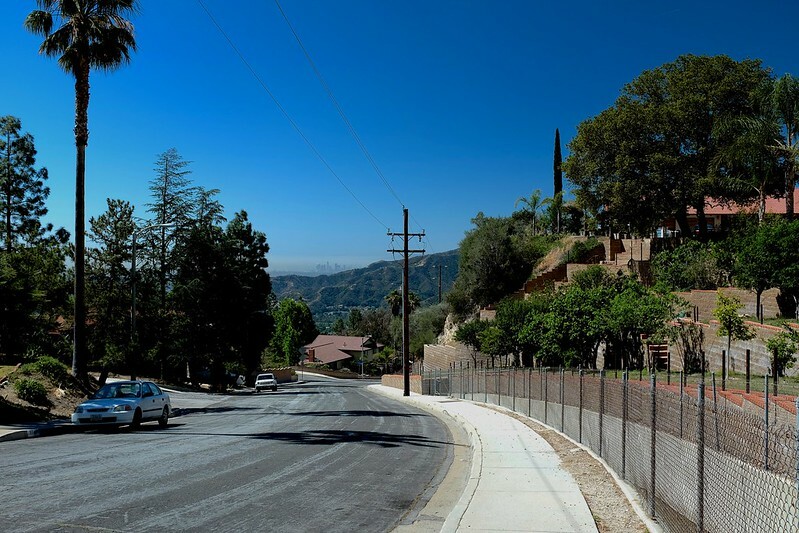 La Crescenta Avenue runs through the middle of the photograph toward the manicured clearing at the base of the mountains. 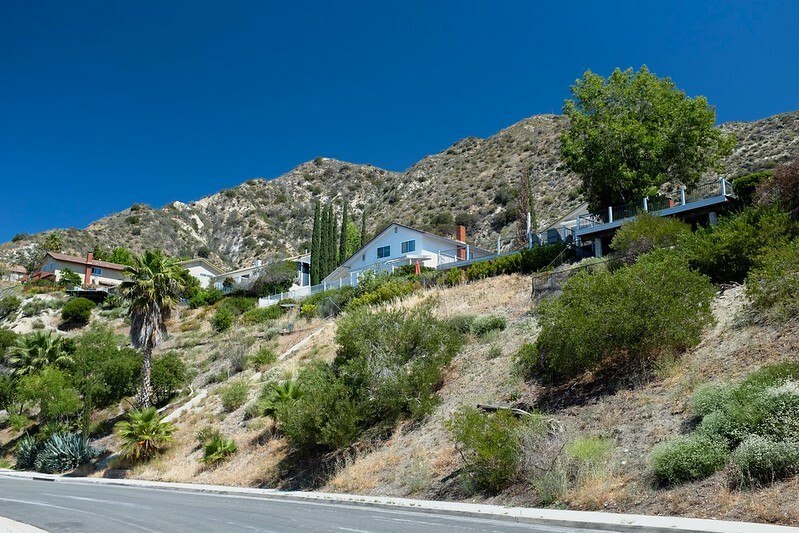 This was Harvey Bissell’s “Hi-up Ranch”, a Crescenta Valley landmark throughout the first half of the 20th Century. In the postwar years, after serving for a short while as Alexander Markey’s “New Life Center”, the property was developed by local architect Webster Wiley into the Pinecrest neighborhood of today. In addition to its celebrated mid-century modernism, Wiley’s development is noteworthy for its substantial reconfiguration of the foothills topography. 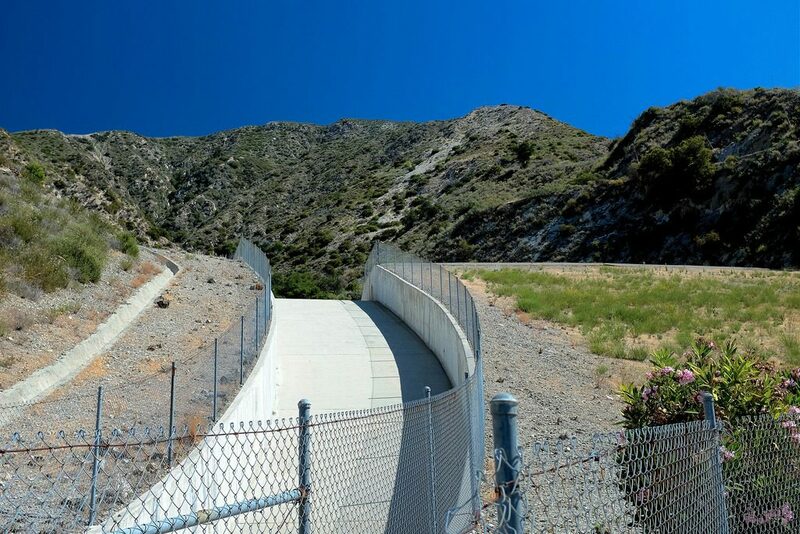 Rather than the gently sloping alluvial fan on which Bissell’s ranch largely sat, Pinecrest was extended much higher up the slopes as a series of terraced building platforms. Pine Cone Road cuts across this terraced grain, terminating at Upper Shields Basin, near the approximate location pointed out by the red arrow I have added to the photo. above: Great views from these Wiley terraces. above: As the city extends into the mountains, the natural hazards include more than just fire and flood. 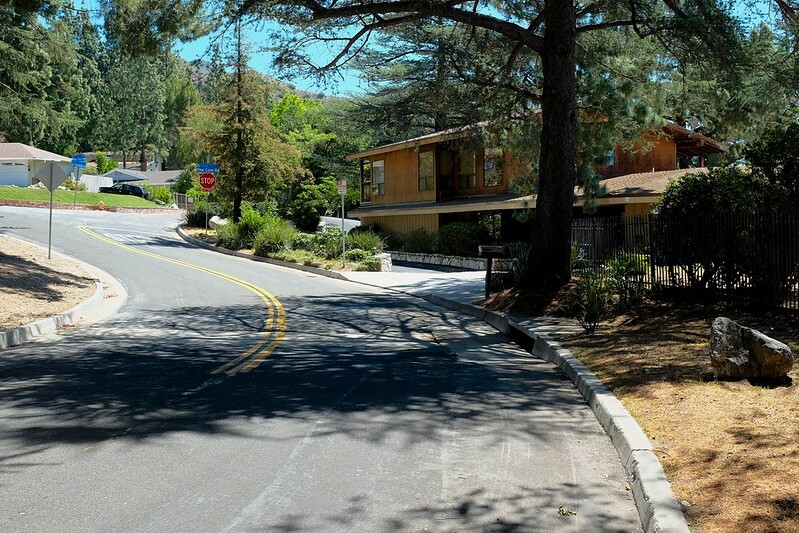 Providing current Pinecrest residents with a little peace of mind is the knowledge that the County has redoubled its efforts to protect foothills homes from the debris-flow hazard. 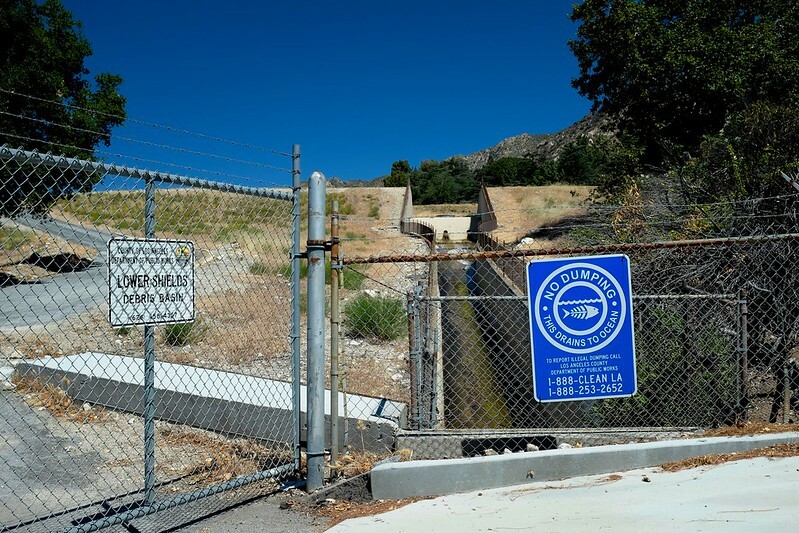 In addition to strategically positioned sandbags and concrete K-rail barriers whenever there is threat of flood and flow, the local debris basins have been significantly upgraded. Today’s structure at Upper Shields—the one that protects the Genofile home—is far more substantial than what was in place in 1978.
above: Lower Shields Debris Basin, which lies immediately below the Genofile home. above: Guardrails along Markridge road are more to catch falling debris than wayward automobiles—although much of the debris crashing into the Genofile home in 1978 did indeed include neighbors’ cars swept up with the boulders and the mud. 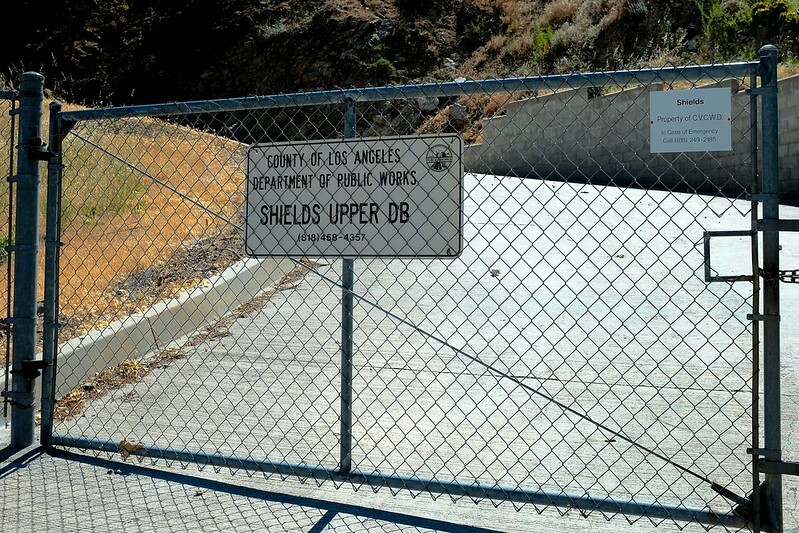 Despite the improved fortifications, and despite greater community awareness of the debris-flow hazard thanks to the historical memory of long-term residents such as the Genofiles plus the work of writers such as John McPhee nationally and Mike Lawler locally, the questions that McPhee implicitly raised back in 1988 remain valid today: Are these defenses enough? Is it safe, in whatever relative sense one uses that word, to live at the bottom of Pine Cone Road? Safe or not, is it wise to live there? Should society limit, or simply not facilitate through publicly funded infrastructure and maintenance, such amenity-rich urban living on the margins of the city? And especially in those gray spaces between the urban and the rural, the domestic and the wild, the artificial and the natural, how much control should we expect to have over the forces that potentially endanger, and/or enrich, our lives? Like McPhee, I won’t be so bold to try to answer these questions myself. Nor do I particularly resent, as a tax-paying resident of Los Angeles County, the notion that a certain portion of my hard-earned tax dollars are being used to support someone else’s lifestyle full of serene city and mountain views. After all, my own lifestyle is deeply dependent upon the implicit generosity of fellow tax payers, and the risks that my family and I bear within our own local neighborhood are different, but not necessarily less, than those faced by the Genofiles and the rest of the county’s residents. This is not to suggest that society is structured equally—far from it. But it does seem to me that of all the arguments one might raise to question the wisdom of life in a place like Pinecrest, the selfish, miserly, myopic argument about keeping one’s tax dollars for themselves is by far the least compelling. Pete Morris has been a full-time faculty member teaching Geography at Santa Monica College since 2000. 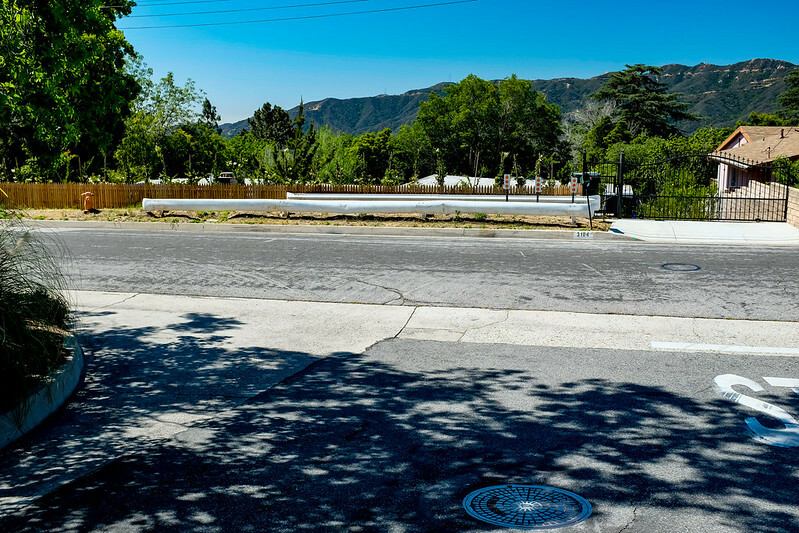 After spending his earlier childhood in multiple U.S. states, he moved to Southern California with his family as a middle schooler in 1978—coincidentally the same year the Genofiles‘ home was nearly swallowed by the San Gabriel Mountains.